News in overnight that Cornelius Kistler at Sunseeker Germany has sold a new-build Sunseeker Predator 80 motor yacht. She's highly customised with her owners very involved in specific design details and is going into production now, with delivery slated for 2014. 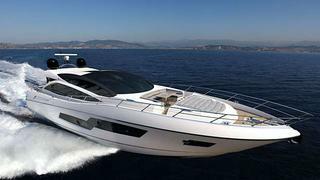 The Sunseeker Predator 80 was asking £2,839,000.